A collection of Minecraft Quests to challenge kids creativity and thinking. Build a treehouse, and of course a tree to to hold it. 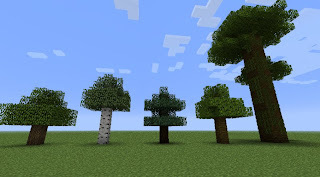 Minecraft has four different types of trees – oak trees, spruce trees, birch trees and jungle trees. Challenge: What type of tree is a Minecraft jungle tree in real life? Here is a poem about a beech tree, how could you add a poem into your treehouse? Thanks for your awesome treehouse Nicholas. I love minecraft so much. I even made a cool tree house on minecraft too. Check out my blog if you want to see it. Do you have a Minecraft Quest ideas?